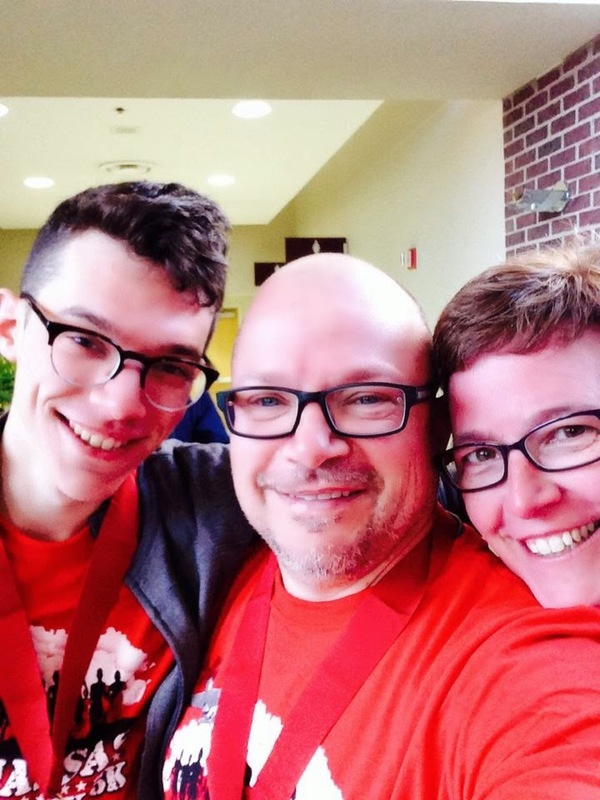 On June 2nd, a memorial 4-mile run will be held in honor and loving memory of our friend, son, boyfriend, teammate, coach, RA, and everything in between, Andrew Capizzi. The 4-mile loop is part of the former Oktoberfest 4-mile that was held in Ridgewood. The route will start at Ridgewood Running Company and is completely open to anyone of any pace, level, etc. There is free street parking after 6pm on the streets of Ridgewood. Thanks for all your help, love and support over this past year. For without it, many of us could not be as strong as we are today. If you live near Ridgewood, NJ a need a reason to go for a run on Monday, this is it. if you don't live near Ridgewood and need a reason to go for a run, this is still it. I'll be doing my 4 miles from here in Virginia. You don't need to have known Andrew to show your support for those that loved him. Show your fellow runners that we're all there for each other. 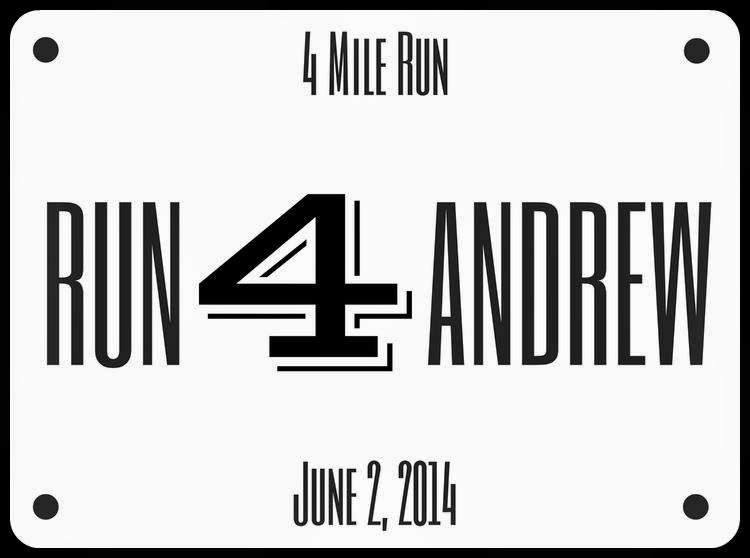 If you need a reason to run, Run for Andrew. 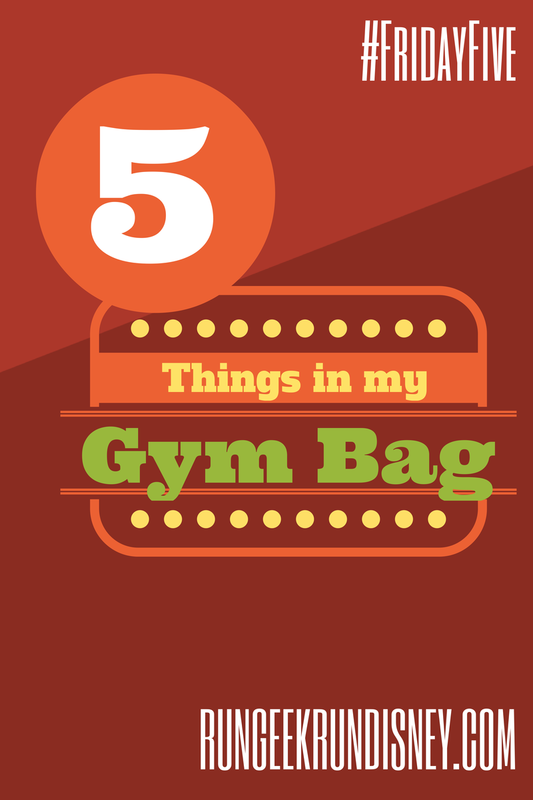 The first thing in my gym bag, that I take to the gym and leave after going is stress and worries. I good run or workout is a great way to de-stress for me. I can push out that stress and any worries from my head, leaving them there when I go. Frankly, I often carry in my gym baggage feeling unfit. We all have bad days. Going for a workout can help take those feelings away. Afterwards, even usually after a bad run, I feel more fit than when I started. I know I got out there and worked. After a good workout, you can't help but leave with endorphins. My gym bag ditched the "feeling unhealthy" and replaced it with endorphins. I feel good, happy and energetic. Heck, after a morning run, I even often skip the first cup of coffee. That's no small deal. When leaving the gym, my bag has a little extra sense of accomplishment. I'm still not in a very good regular routine. Each day in the gym is 1 more day towards healthier living. Bundled with #4 is the fifth thing you'll find in my gym baggage on the way out: a sense of pride. I try hard to build that in myself, which isn't always easy. Um... in your gym bag? So, instead going with physical things in my gym bag, since there is zero unique things in there (I actually looked), I went with "things" I take with in with me and leave there, and "things" I take back with me, in my "gym bag". Hope you like. The folks at runDisney have announced their latest edition to the runDisney calendar. Like the Avengers, the theme is a doozie: Star Wars Half Marathon weekend. The race weekend will take place January 15 - 18, filling the slot vacated when Tinkerbell Half moved to May. 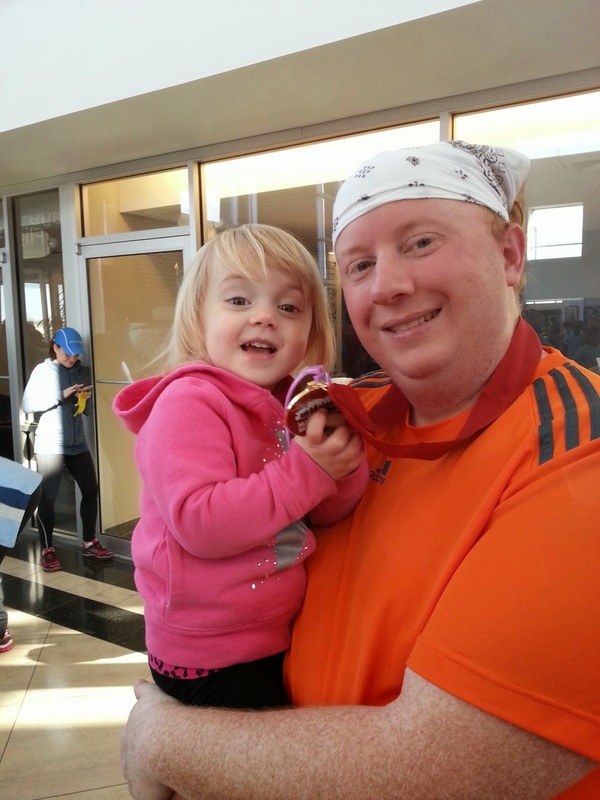 The weekend includes a full slate of races: half marathon, 10K, 5K and kids races. Also included is a challenge for the 10K and half in the Rebel Challenge. The only slightly disappointing part is their all just Star Wars Half, Star Wars 10..., no sub-theming (minor complaint). 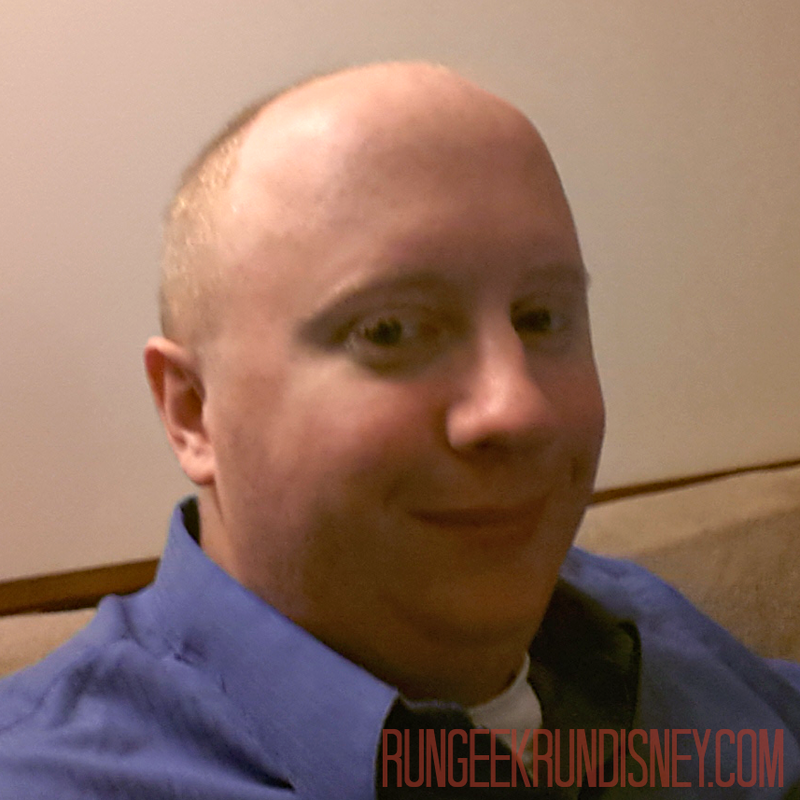 I suggest checking out the official site and the runDisney blog for the full information. I absolutely love the theme. I'm a big Star Wars fan, and just an all around geek. On a personal level though, I'm a little disappointed it's on the west coast. I won't rehash the conversations going on everywhere too badly though. I knew they would replace Tink's spot with another race. I was fine with this as well. Until the Avengers Half was added, the west coast was sorely lacking in races compared to Florida. I'm just disappointed that both more "geek" themed races are in California. As I mention below, I felt a balance would be good to have. I wonder if when planning to add races to Disneyland if these were just the first 2 / best ideas they had, so California got them both. Now oddly enough, while Disney World outnumbers Disneyland 5 to 4 in race weekends, Disneyland has more Coast-to-Coast eligible races (half marathon or more) by 4 to 3. The below is my original post from just after the teaser was added, with some updates. I wrote this before knowing they would do their quick turn around to an actual announcement in the same day. UPDATE: runDisney tweeted the dates: January 15 - 18, which means it will be in Disneyland. Sad me. Now, the only remaining question is where. Early rumors were Avengers in Cali and Star Wars in Florida. There has been some recent rumors about it being in January in Cali, because Tink is moving to May and Disney kept the permits for the race weekend, as well has posted as Project Dodger Half Marathon weekend for the dates on Active.com (the page is no longer live). I think "of course they're going to keep it and put a new race there". That part is not a surprise It (unfortunately) does fits for registration lead time. I still think (maybe fueled by a new hope) that it will be in Florida. 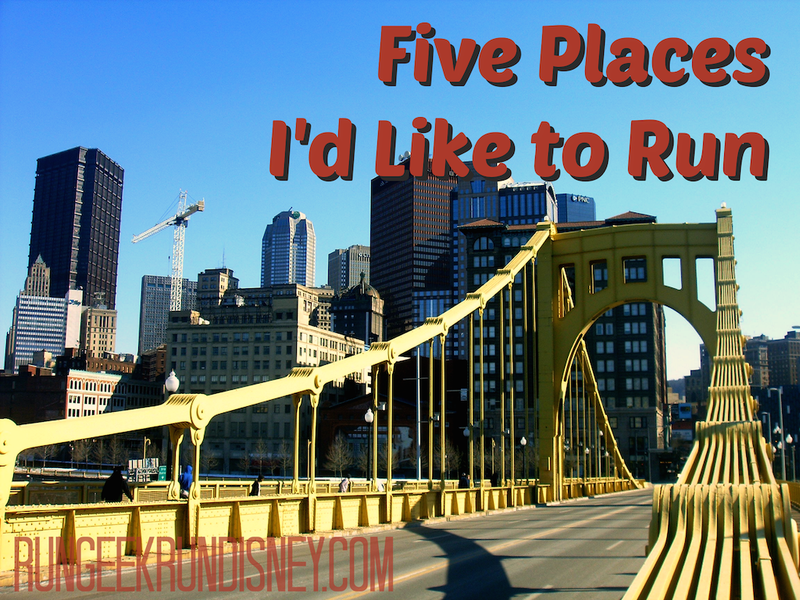 It keeps with runDisney pairing coast to coast. There is both a female themed race in both Cali (Tinkerbell Half) and Florida (Princess Half). This would give a good pairing of Avengers on the West Coast and Star Wars on the East. Plus, it would pair well with Star Wars weekends that occur in May at MGM Hollywood Studios. And, if it is in Florida, I could start trying to be perfect for a race. Also fantastic, this video on Instagram. We now know it will be 6.8E-13 parsecs race. The first place on the list was easy. 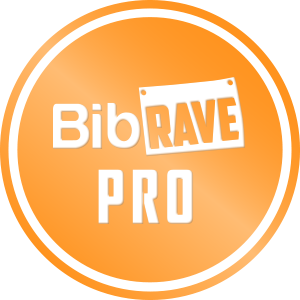 I had to go with my answer to a #bibchat on "What is one RACE/RUNcation you’ve always wanted to take?" My dream answer would be to run the "original classic course" of the Athens Marathon. All the history, the architecture and the FOOD. You can also sign up to do it as a tour with Jeff Galloway as coach, which would also rock my socks. So many wins in my book. Given the name of my blog, this one should give you no surprise. If it does, think about what is in Anaheim. Wait for it... There you go. I've run in Florida (see half marathon recap). While I plan to run many more there, I also plan to eventually get my Coast-to-Coast medal (or both), perhaps for running something like this? While the growing popularity has some negatives, it still has many positives as far as I'm concerned, not to mention I want to Pokemon all the medals. I have to include somewhere tropical here. I've always wanted to visit Hawaii, and the thought of running those views and beaches seems like a perfect idea. I'm not even set on where in Hawaii it would need to be. Honolulu? Maui? Hilo? Kona? Kauai? North Shore? All of the above? I'm not picky. Why Carnation you may ask. Seems like an odd choice compared to big names like Athens or tropical getaways like Hawaii. The answer is simple my friends. The one thing those other locations and races are lacking: the Blerch. Carnation, Washington will be the location for the inaugural Beat the Blerch 10K, half and full marathon. I just feel like that would be an awesome race to be a part of. I had some problems picking these, specifically who to give the final spot to. It's like fielding the field of 64, who do you cut? Here are my bubble locales and races, still considered worth mentioning even though they didn't make the big dance (in case you weren't inspired enough to travel): NYC, Great Wall of China, Easter Island, Ragnar and the Australian Outback. Eat Pray Run DC You Signed Up for What?! While my fitness journey involves a weight-loss goal, the goal is not about changing me, but improving myself. There is an important distinction there. The distinction is in being happy with yourself, the core of you. While being happy with yourself can be its own journey, the first step is in "embracing you". I felt like I reached a good step in that this weekend and wanted to share. I've been in need of a hair cut for probably almost a month now. Mostly through procrastination and forgetfulness, it got that far overdue. Now, an important point of information is that for several years my forehead has been growing, if you catch my drift. A little bit more and more each year. I finally reached the point this weekend where I had my wife just take the clippers to it all and buzz the whole thing down. While I was unsure going into it, I've embraced it and am quite happy with it. I look in the mirror and instead of wondering if it looks bad and how far it has been creeping up as I comb my hair, I just enjoy the short look. I also haven't really stopped rubbing the "fuzzies" on my head, as my daughter puts it. She also likes to ask "Daddy, what happened to all your hair?" and give a little smile. I got a couple of nice compliments at work too, which helped. While I like it short, I don't think I'll ever be a "bic it" kind of guy. I like having my little bit of ginger left. The important part is I'm embracing me. I'm 30, I've got some extra room on top, and I'm good with that. Frankly, my head is cooler now while running. While I was nervous as my wife trimmed of how it would look, the only thing I'm nervous of now is some sunburn on top. I am a ginger, remember. How have you embraced yourself? Is there something about yourself you're having trouble embracing? One of the great things about cooking for yourself at home is you control the ingredients. You can get the freshest veggies, herbs and spices. You get your choice of meat cuts, can literally trim the fat and even chose options such as organic or free range, if that matters to you. You also can make the choices not used often when eating out: things like using partial (or full) skim cheeses, extra virgin olive oil instead of vegetable oil, egg whites instead of full egg or whole grains instead of white. There are plenty of substitute lists available (this is the internet of course) like this one from the Mayo Clinic. I grew up in a "clean your plate" time. It was for a good reason, to not waste food, but had adverse sides to it, eating too much. When you cook at home, you control the portions. Yes, when you're out you always can, and should, only eat as much as fills you up, not all of it. However, when at home, you can take the proper, smaller portion sizes. You also can use the trick of a smaller plate makes the food seem like more. The same amount of food on a smaller plate makes it look like there is more food and can trick your brain. When having smaller portions, you get the added benefit of leftovers, also known as a quick and easy lunch to me. If you do Weight Watchers like me, it's much easier to calculate the points when you know the exact amounts and ingredients (from #1) you're eating. Cooking at home is simply cheaper than eating out. Not only can you make healthier meals, but they will cost you less. At a base, buying the ingredients and putting them together yourself is cheaper. Simple fact. Restaurants obviously charge you for the convenience, and they need to pay for the labor, so that comes from you. You can also get the ingredients on sale, with coupons and even in bulk saving you even more. Being creative and having fun. Cooking is an art. To be a great chef is to be a true artist. But that doesn't mean you can't cook without being a trained chef. Just like anyone can have some fun painting on a canvas and explore their creativity, you can do the same while cooking. You can find a simple recipe and then play with it. Try a different seasoning, add a new ingredient, cook it on the grill instead of a pan. Not all changes will make a masterpiece, but be open to trying it. You might surprise yourself. 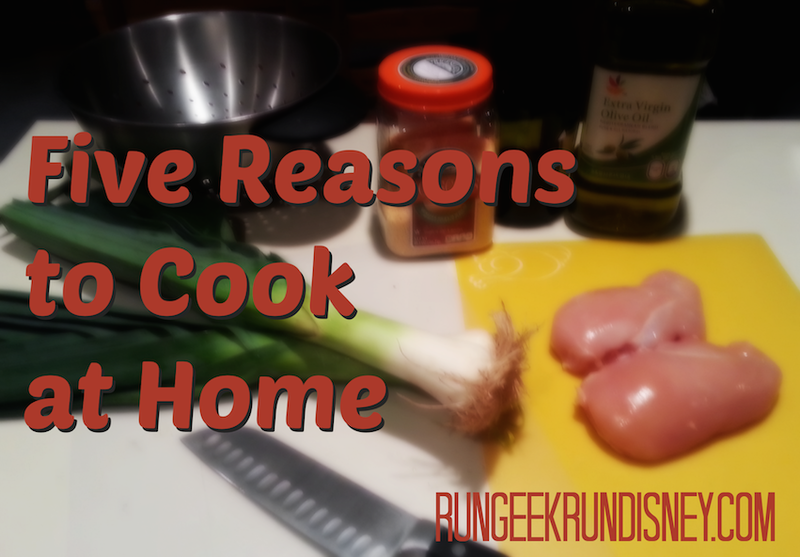 I love to cook and love to share the food. Think of the Princess and the Frog "Hey everybody, I made Gumbo!" You can make simple little recipes, that don't take much work, but can impress your friends. Try this: Season some chicken with fresh ground pepper, and grill it up. Cut it into small pieces, add some caesar dressing and a little parmesan cheese, throw it into a pan and cook it up a little. Take it out the pan, throw it in a wrap, sprinkle some extra fresh parmesan, add a little romaine lettuce and boom, chicken caesar wraps. Healthy, easy, yet impressive. Check here for some links out to others sharing, staring with our three lovely hosts: Courtney, Cynthia and Mar. Check their posts (Eat Pray Run DC, You Signed Up for What?! and Mar on the Run to see the full set of links). I just listed a couple here early as I saw and read them. Five Reasons to Run Without Music You Signed Up for What?! 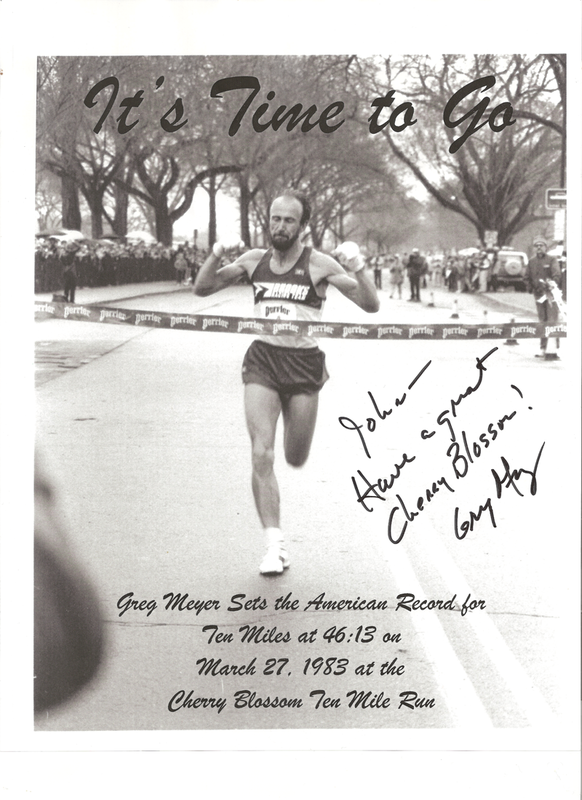 During the expo for the Cherry Blossom 10 Miler, I got a chance to meet Greg Meyer. He set the American record for ten miles with a time of 46:13 back on March 27, 1983 (at the Cherry Blossom 10 Mile Run, no less). I arrived just as he finishing up speaking on how it was time for his record to be broken (spoiler alert, it wasn't at the race). I would have loved to hear him speak, but missed out on that. Instead, I met him as he was signing autographs a little later on, where I got this photo. Find a pretty girl and follow her all the way to the finish. That light-hearted advice gave me a little smile. Who am I to argue with a man of his racing experience? My wife, on the other hand, might want to argue that advice. What's your favorite running advice you've received? In trying to help myself write more regular, I've decided to try my first Friday Five link up. I'll describe more about what it is at the end, for those who haven't heard of it. For now, let's jump right into this week's topic: Five Fitness Truths. Exercise wakes you up and gives you energy. I've noticed this countless times after starting my day with an early run before work. When I get into the office, I find myself much more awake then most other days, even on less sleep. It gives me that mental and physical boost into the day. And, the added benefit of not crawling my way to the coffee machine for the first cup to wake me up. This is also backed up by my coworker who recently started riding his bike 13 miles to work, and still feels so much more awake. Exercise can clear your mind... or ramp up the problem solving. There are plenty of anecdotes from many people on this. Some about how going out for a run or ride clears their mind and relieves stress. Others solve problems and it allows their mind to think freely. I think the second is just due to the first clearing the mind to let it work. It's like stopping all those other programs running doing nothing useful to just run the one that needs the most processing power (sorry, my geek is showing). EVERY bit of fitness counts. I think a good way to put this is something I've seen before, that was said about a shirt seen at a race (sorry, I can't find the post to give credit where it is due): DLF > DNF > DNS. Dead Last Finish is greater than Did Not Finish which is still greater than Did Not Start. Anything extra is a gain. Taking the stairs once a day instead of 0, taking an afternoon 10 minute walk break, going to the far water fountain for a drink. Every little bit counts. Exercise lets you eat more. I'll start this with "it's not a free pass". I know that, you know that, we all know that. But, being someone who loves food (cooking, eating, enjoying) the truth is you can eat more when you're more active. It's a hard truth. Fitness and working out burns extra calories that you can take in. You don't want to take in too many, but you can earn extra rewards and extra healthy choices (not to mention some ice cream or cheese cake now and again). This is something I've encountered time and time again with myself. One example of this was when I ran the Cherry Blossom 10 Mile run this year, which came to mind after Sarah on Run Ginger Run (a blog name after my own ginger heart) posed the question of your proudest running moment. I was convinced I was going to be swept. My training wasn't often enough or fast enough. But come race day, I ran faster than I could have imagined and came in under time. It's always important to remember, on good days and bad, that you're stronger than you may actually know. So, what is this Friday Five thing you speak of? So the Friday Five is something put together by Courtney at Eat Pray Run DC, Cynthia at You Signed Up For What?! and Mar at Mar on the Run. Each week they throw out a topic to write about centered on a list of 5. Some are a little more specific like this one "Five Fitness Truths" and some are more open like "Five things I love about...". In the end, they're about writing a post and helping each other out. 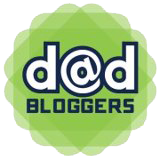 They have a place were all the bloggers can link there posts and interconnect with each other. This will help everyone hopefully get a little more traffic and helps build a good blog community with it. For me, I like it because it will give me a regular post for each week, which is something I'm trying to get better about. 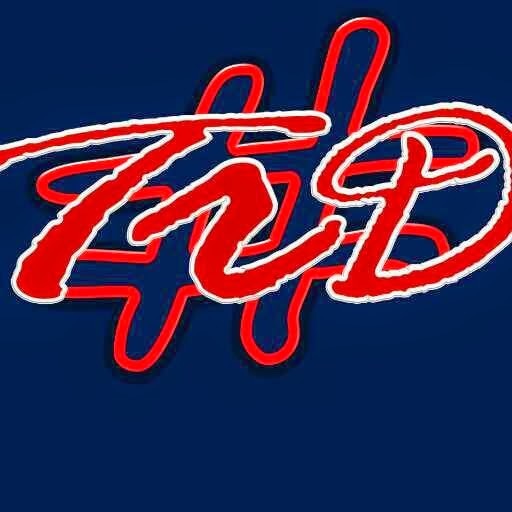 I want to grow my blog, which starts with my and my writing. And frankly, I like them and their blogs, so I'm happy to join in. With that in mind, here are some links to other Friday Fives this week (you may need to check back as I'll update as I read some). After running several longer distance runs, the time for some of my shorter races has arrived. I have several 5Ks lined up over the next 2 months, the first of which was the Manassas Runway 5K. When looking at races, one I originally planned to run was the Rockstar 8K, which was my first race ever and conveniently located right outside my house. However, this year, I noticed a change. The 8K was only a 5K, which I found perplexing. Then, I noticed it was in Fairfax, not Burke. Sad panda. This however opened the door to run with some friends at a race out in Manassas. Enter the Manassas Runway 5K (and 10K). One thing different about this race then the rest of my recent ones was company. 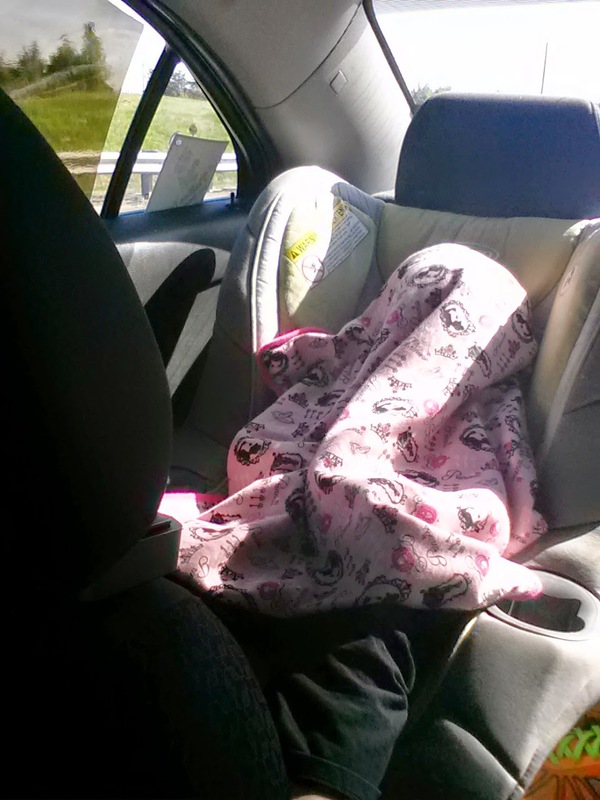 Thanks to location, time and the aforementioned friends, my wife and daughter were all coming along. This meant an early morning wake up call for all. I laid out all my stuff the night before as I always do to make my morning go quicker. The race was about a half hour drive away and I needed to do packet pick up before the race as well. Packet pickup was in the "terminal". It had a pretty good size line. They were running efficiently though. One person would get your name and give your number to a second person. They would get your bib and hand it to a third. The third person would find your shirt then hand it to you, a red tech shirt with the race logo on it. They had 3 sets of people operating in this manner, so getting your stuff took no time at all. The temp was pretty chilly, hanging out around 50 with a light breeze, so we hung out inside and met up with Stephanie, John and their son Jacob pre-race. The 10K would start at 7:30 followed by the 5K 15 minutes later, so we had the advantage of not needing to be first outside. While the sun was shining it wasn't quite taking all the chill out of that pesky wind. 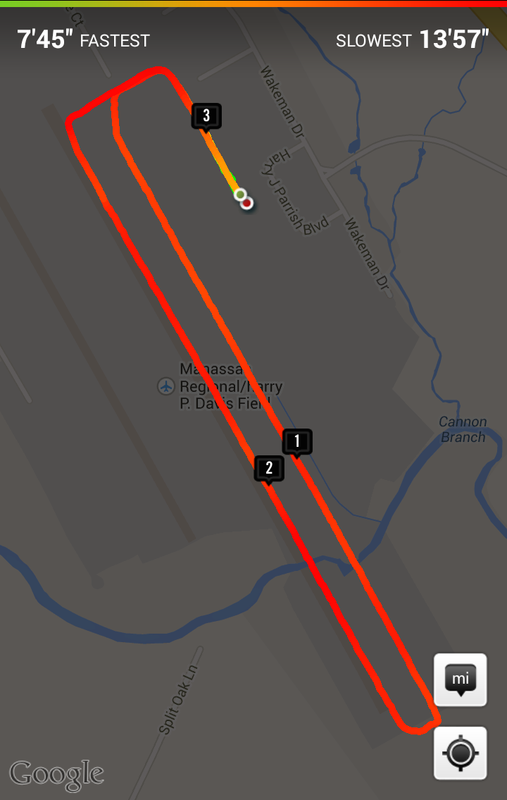 The course was a simple out and back loop on the runway, with a shared start / finish line. We all were running the 5K and lined up about 2/3 of the way back the pack. With a quick countdown we were off, starting among various biplanes, which was a nice touch. Jake took off, being the fast 20 year old he is. I stayed with Stephanie and John for a while until I took my first walk break and then was in "run my race" mode. One thing I wish I had done leading into the race was worked on longer run intervals. Knowing I only need to go 3.1 miles, opposed to say 10 miles, I know I should be able to handle a higher run to walk ratio. Unfortunately, not having practiced this I didn't want to mess up a pace I know I could do smoothly. The course was as expected, flat, smooth and wide open. I took pride in sticking to my intervals and slowly working past some others. I feel like the tortoise eventually passing the hare, and it feels good. At about the 1.5 mile mark we reached the end of the runway and the sole water stop on the 5K. After hooking a U-turn over to the next runway, we found the worst part of the course. While a nice headwind can be good for the whole science of liftoff and an airplane, it's not so nice for a run. And it was a constant wind the entire way back down the runway. Less than ideal, but at least it was flat, right? After fight through it was just a turn back towards the finish and a short sprint home. There were a good number of people lined up at the end, including my Stephanie with Sam as well as John and Jake who had already finished. After crossing the finish and getting some water I turned around to see Stephanie cross and gave her a high five before finding out families. After finishing, we went to retrieve our medals and some food. The medals were quite nice. There was one shared medal for both the 10K and 5K, featuring a lineup of figures running with a plane in the sky on a red background. 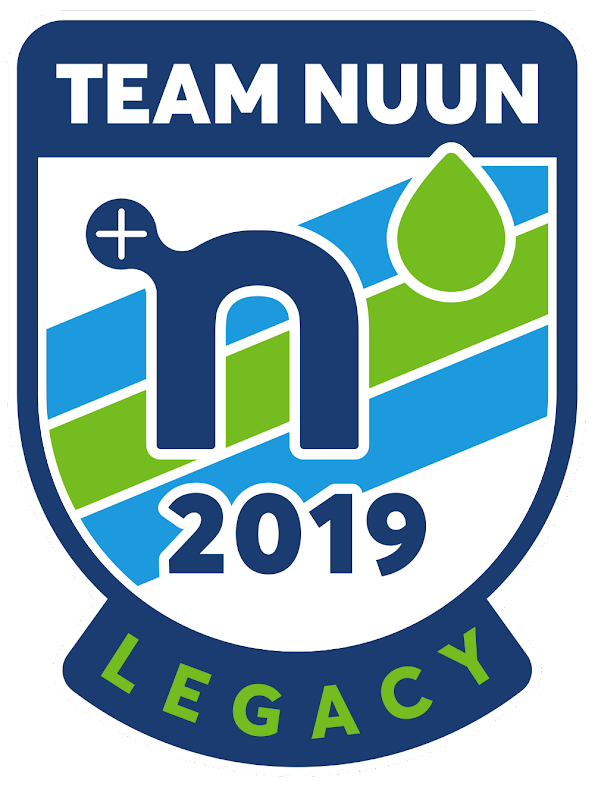 This is the same logo on the shirts we received. There's just something about it I really like. We were waiting around for the awards, because they were having some trouble getting the times synched between the finish line and the awards area. After about a half hour post awards time, they announced they could not get the times right now, but to rest assured they were recorded and they would send them out as soon as they could. This was unfortunate as Jake was the only one who hadn't tracked with any device, so he had no guess as to his time. Now, what would running a race with friends be without celebrating post race with them? Not much of a race with friends, I'd say. That is why we arranged to have breakfast after the race. We dined at Eggspectation. They're menu had a LOT of choices that looked good to me. In the end, I followed Jakes recommendation of the High-Rise Pancakes (formally Construction pancakes). This featured pancakes, bacon, sausage and potatoes, all layered with each other. He substitutes chocolate chip pancakes and ham for his sausage. I felt a little too guilty to get chocolate chip pancakes in mine, as I knew I didn't run enough to even work off close to the base mean. If you're interested, it was 30 WW points with 5 points earned for my running. I also didn't eat again until dinner. Man, I'm getting old. I have to say, my overall opinion with this 5K was really good. The fee was on par with other 5Ks in this area. The return on the fee was great. Normally, with a 5K, usually at most you get a screen printed cotton t-shirt. For this race, we got a printed, nice quality tech shirt. If that's not enough, the race also included some bling: a nice, colored metal medal. Even a Disney 5K only lands you a cotton shirt and rubber medal. The course was fast and flat (as a runway would be), though with a head wind in one direction. Packet pickup was incredibly fast and efficient. The only hiccup in the race was the problem with the results. As a programmer, I understand you can't always control that fact, and then did their best to try and get them out, but in the end we waited a while for nothing which was a bit of a downer.